We had some wintry weather this week, that kept my daughter home from school for three days. I was also home, but because I caught a nasty, strength-sucking cold. I am still feeling decidedly unwell several days later. The silver lining however is that I was home when the first rose for my new garden was delivered. Several of the roses that I ordered this year are in the form of “bands”. A band is basically a small, rooted cutting. My first arrival, “Marshmallow Fluff”, a white polyantha rose with fluffy white blossoms, came from Burlington Roses, carefully packed and wrapped in newspaper. 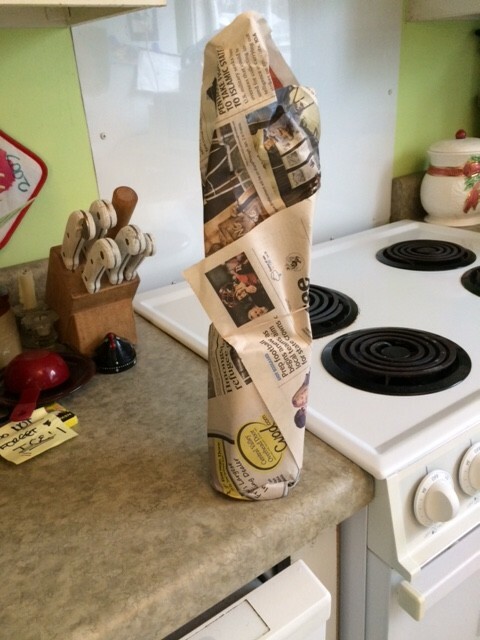 I removed the newspaper wrappings. The band pot was wrapped in a plastic bag to preserve moisture during transport. 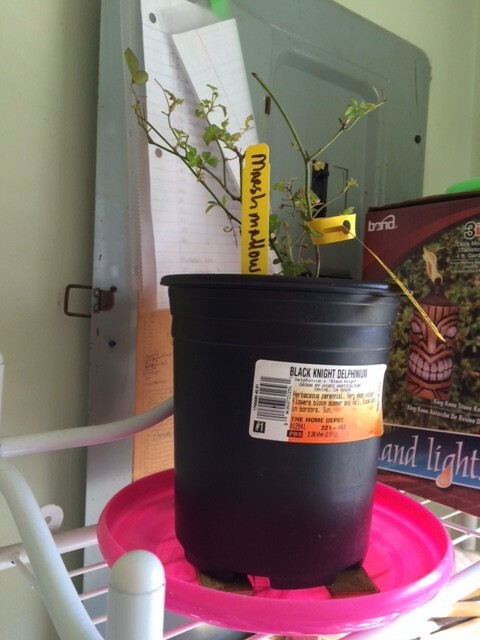 I cut a small whole in the plastic bag, then filled a bucket with tepid water, and submerged the entire plant for about 30 minutes. The purpose of this is to re-hydrate the entire plant as well as kill any critters that might have been transported with it. Afterwards, I let the little plant drain in the sink. I placed it in the laundry room on a shelf that gets bright, indirect sunlight and is well out of the reach of curious kitties. After a couple of days, I potted the little band up into a nursery pot with some organic potting soil. 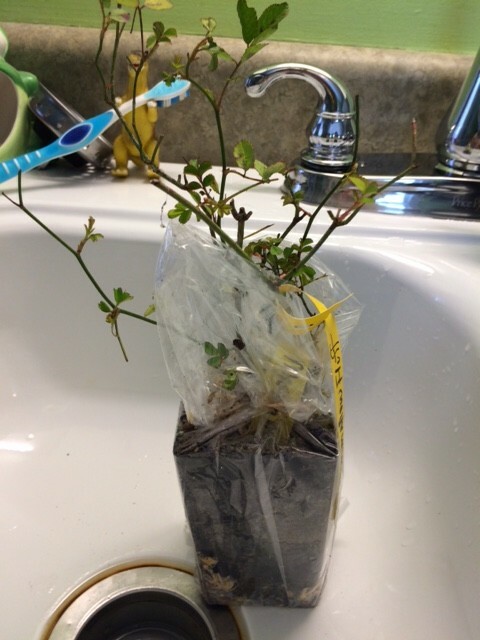 The organic soil doesn’t have fertilizer in it, which could burn the little baby roses roots. It will hang out in the laundry room until the spring weather arrives, at which point I will move it outdoors to a sheltered location. My new running shoes also arrived this week. Unfortunately, until I start feeling better, all activities are on hold. No running, working in the yard, decluttering, or home improvement projects. My plan for Saturday is to watch the Olympic Marathon Trials on TV, then go back to bed with a book and my vaporizer.